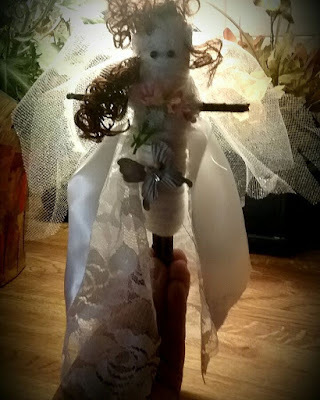 When you order a poppet from my website, I'd be more than happy to work with you to create a personalized item in-tune with your specific needs. Just send me an email after you've made your purchase & we'll talk. 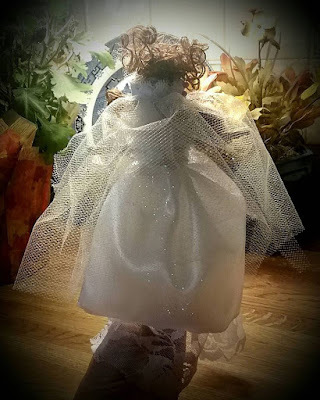 She's adorned with lace, white satin, and tulle. She's also filled with bright promise for a spectacular future. 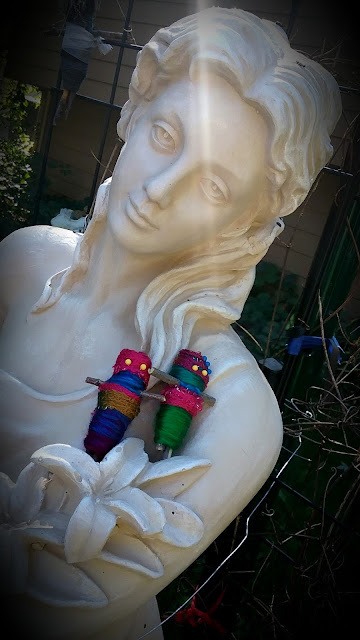 She can be the vessel for love and positive energy for yourself, or a bride in your life. 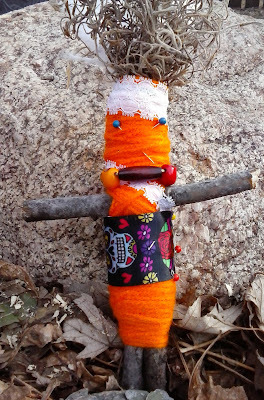 These colorful little dollies are charged with soothing peaceful energy to bring calm and emotional comfort. They are aligned with the colors of the rainbow (and the chakras) to insure a positive flow of energy emotionally, physically, and spiritually. 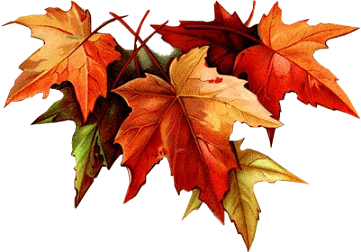 Because of their small size, you can easily tuck them in your purse, coat pocket, or glove compartment. Keep them with you to stay close to their energy. This lovely lady is 15 inches tall without her headdress. She's filled with patchouli for general protection; roses to bring you love; marigold blossoms to enhance your psychic intuition and bring you business success; St. John's Wort for good health; and cloves to protect you from gossip and lies. Do you have a special someone with whom you share a close bond and connection, someone who will be your friend to the end? 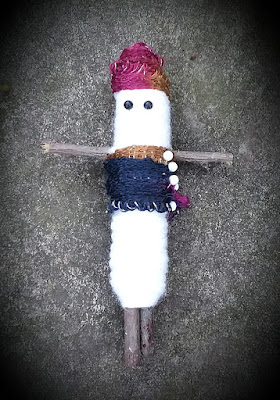 Let them know how much this friendship means to you by sharing a very special dollie packed with kindness, good intentions, and lots of love...the BFF Voodoo Dollie. She's a small package that contains a big message. Traditional poppets in Black (for justice, retribution, and binding); Green (health, healing, and prosperity); Red (love & passion, friendship, and relationships)...and More! 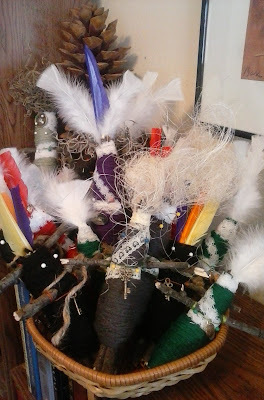 These poppets are created with twigs from my own trees; colored yarn; feathers; ribbons; magickal herbs; petition papers; personal concerns; and other items pertinent to their individual energy. 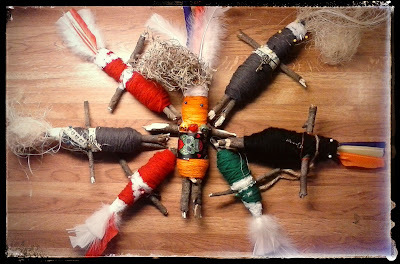 Because these hoodoo dollies are all created individually, by hand, there may be slight individual differences in the product. Be sure to watch the videos below to learn more about Poppets! Thank you! 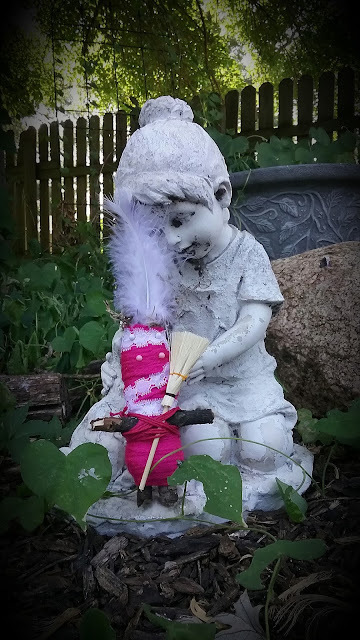 :) I believe it is a more traditional hoodoo method, but then there are so many different ways of doing things. 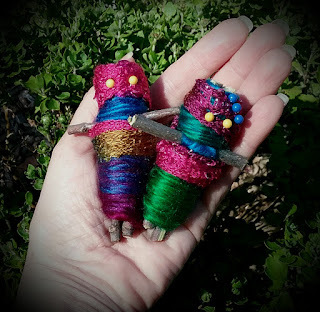 I LOVE these poppets. I have two of my own that I feed regularly ~ Mama Money & Mama Luv.